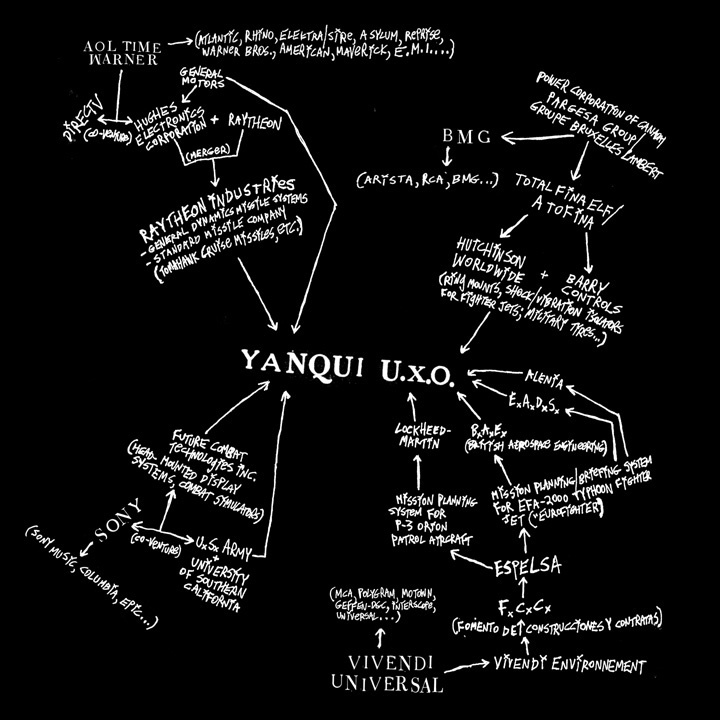 The essay and ideas included here is a discussion of the topics raised through CRITICAL INFRASTRUCTURE, an artistic research and production residency that took place as part of the lead up to the transmediale festival, afterglow, 2014. The project’s initiation was about uncovering the resources and reserves of physical and material energies, signals and data that scaffold the very possibility of post-digital art-and-technology practices. Through a series of public workshops, and an installation project situated within the transmediale 2014 festival, CRITICAL INFRASTRUCTURE’s ‘post-digitality’ is not only historical-temporal, but immediate, and dredged up from below, in the present. The artistic project stemming from research and public events through the project creates a media-archaeological site-survey, revealing data and depth of the present moment of an art and technology festival, in the Haus der Kulture der Welt, in Berlin, on Earth. As such, the project intends a kind of post-digital institutional critique, as well as reflecting something of the “geological-turn” in media and media theory through the landscape survey form. When “data mining” and circuit-bent archeologies (Parikka and Hertz, 424), are powerful metaphors and methods for artistic knowledge practices, we perform a survey of the media-technical landscape. The project spanned the Autumn of 2013, and received the gracious support of the Canada Council of the Arts and the Danish Arts Council, and hosted by transmediale 2014 and the Zentrum für Kunst und Urbanistik (ZKU), Berlin. With CRITICAL INFRASTRUCTURE, alongside time-based concepts, we speculate another “way of seeing” the post-digital: to look down, into and through the sediments of a technological present we re-main a re-action to. If “post-” usually refers to that which comes after, let’s look here at what lies below—charting a course not in terms of eras, generations and epochs, but through layers, vertical gradients, veneers and strata—driving our “post-” into the ground. The afterglow, the hangover, of the digital booms and busts we have been experiencing since the late 80’s evidence a very real layering of matter: the dirt and dusts of the digital systems, interconnects and protocols that now wrap the Earth. What matters (that is, presents itself with all its material agency) is technical-trash, overfilled (an)archives, dendritic digital distensions—the bursting at the seams of attentional and intentional gutters. These gutters of dirt and dust are passageways to geologically thinking, pointing to the “anthropocene,” our current geological age (during which humans and our activities have dominant influence over climate, environment). Our contributions to the geological record over the course of this era will primarily show the effects of technical media: the electrification, then wiring, then wirelessing, of the globe. For material reminders, consider how the modern engineering concepts of backward-compatibility and innovation, respectively, resonate with proto-geoscientist Steno’s 17th-Century stratigraphic laws of superposition and cross-cutting: “At the time when the lower stratum was being formed, none of the upper strata existed,” and “If a body or discontinuity cuts across a stratum, it must have formed after that stratum.” (Brookfield, 143) CRITICAL INFRASTRUCTURE, a project of methodological and conceptual misappropriations, extends the work of geological and archeological media thinking. How might we perform a coredrill of media and its technical systems? ‘g’ (2008), by Jack Strange. 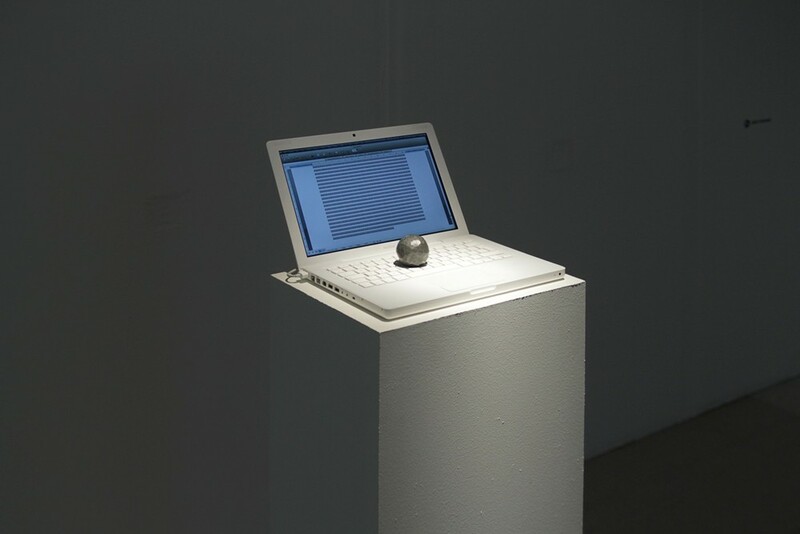 A “g” key of a laptop is held down by a lead ball, repeating the letter into a Microsoft Word document. When something works—really works—it becomes infrastructure. We give this name to something we are not enough aware enough normally to name at all. As Douglas Adams has put it, “Technology is a word that describes something that doesn’t work yet.” (Adams How to Stop Worrying and Learn to Love the Internet) So, infrastructures are at once easily detected and indiscernible — they are everywhere and nowhere, at once. These dynamics of appearance and disappearance, of visibility and invisibility are perhaps somewhat fundamental to what is to be technological. But there are other ways and reasons that technologies disappear, and some of are motivated by worrying realpolitiks of knowledge and access, as well as social relations incumbent of late capitalism. And this is where a tension between impressions and realities, a politics of knowledge, at individual and community scales, becomes highly pronounced. Bureaucracies and institutions express a set of techniques that are also present in the design and development of technical infrastructure: abstraction, compartmentalisation, classification, oblivious interiorities — the list of tendentious strategies spins round and round, centrifuging imbalances of both knowledge and power. Globally, the scaffolding of institutional and governmental power through technological artefacts, often taking the form of territorialisation through instrumental measurement, has long been part of the infrastructural bargain. Techniques include, “dependence on imported equipment rather than self-sustaining networks, and an absence of R&D in the colonized territory.” For electrical power, for example, these are “techniques which keep the regional power companies in thrall to larger global corporate networks of goods and services.” (Cubitt 314) Information and network archivic infrastructures work in the much the same way—cartographic mapping and scientific investigation (as “quantification” movements of the 18th and 19th centuries) were serviceable preludes to Western European powers’ dominion over the new world, the Indian subcontinent and Africa, among others. German and British geographers, map makers and natural scientists certainly thought themselves to be doing a great, inherent service to the world. And the preplanning of today’s contemporary superpowers seems no less an irreproachably admirable bargain: Google just wants to know, and we just want free email. The promise that base metals supposed for the alchemist, and the capacities that scryers gave to globes of rock crystal, is the promise that “data” brings to our present moment. Richard Wright’s essay for “Software Studies, A Lexicon” (2007), points to the archive fever and historical anxiety from which contemporary techniques of data visualisation arose: “In 1987 the US National Science Foundation published their “Visualisation in Scientific Computing” report (ViSC) that warned about the “firehose of data” that was resulting from computational experiments and electronic sensing.” (Fuller 78) Artists, “creative technologists,” designers, programmers are, right this moment, developing an enormity of alternate perspectives on comma delimited lists, spreadsheets and other seemingly humdrum data formats and sources. The tools they employ often involve a surprisingly potent mix of simple statistical techniques, aesthetic schemes, and data massaging. But the whole endeavour reveals a quintessential epistemic irony of our data-age: Data is collected in order to characterise the truth of an object or event. But, having collected too much data, of a kind that is impossible to comprehend directly, we elaborate a whole literature of symbols, infographics, explanations and visualisations. As Vilem Flusser puts it, “…every mediation between man and the world, [is] subjected to an internal dialectic. They represent the world to man but simultaneously interpose themselves between man and the world (“vorstellen”). As far as they represent the world, they are like maps; instruments for orientation in the world. As far as they interpose themselves between man and the world, they are like screens, like coverings of the world.” (Flusser 2007) We drill-down, slice and sieve the database —digital dowsing, attempting to “strike oil,” or to “sift gold” from these stratifying datasets. And here again is why geological thinking is more than an inter-disciplinary conceit. We find ourselves inventing a new tectonics of the database, an elaborate succession of measurements and multiple-working-hypotheses, that we hope will bring us closer to the realities we seek to characterise. But, there is much to be said for the insights wrought by perspectivally looking at the data. Perhaps “a landscape is best viewed with a single source of light—the sun, one light bulb, a lone candle, a lone writer – so that all the shadows and highlights are true to each other.” (Coupland Extraordinary Canadians Marshall Mcluhan) In order to study something highly non-linear, perhaps we must first arrange it, slice through it, in or with a line. Technology slips from the invisible to the visible in a number of ways, some already outlined, and some more intentional and performative than others. The most obvious is perhaps through internal or external failure. This breakdown, as self-critique by and of infrastructure itself, is a reading that Sean Cubitt gives of Mcluhan’s influential description of electric light: “The electric light is pure information. It is a medium without a message.” (Mcluhan 1964: 15) Infrastructural breakdown, here the example and existentialism of electricity and light, can be “an assertion of the criticality of the medium to our innately communicative species.” (Cubitt 15) When a large power blackout happens, it increasingly means a complete severing of all cultural communicative ties—arenas for public and private interactions are artificially lit, and social spheres (in the West, at least) are nearing complete metastasis from situated to networked, analog to digital, neighbourhood to online. More interesting than breakdowns are instances where infrastructural performers and human actors do a more explicit double-act. A favourite story regarding such a vaudevillian ploy involves one Harvey Schultz of New York City. 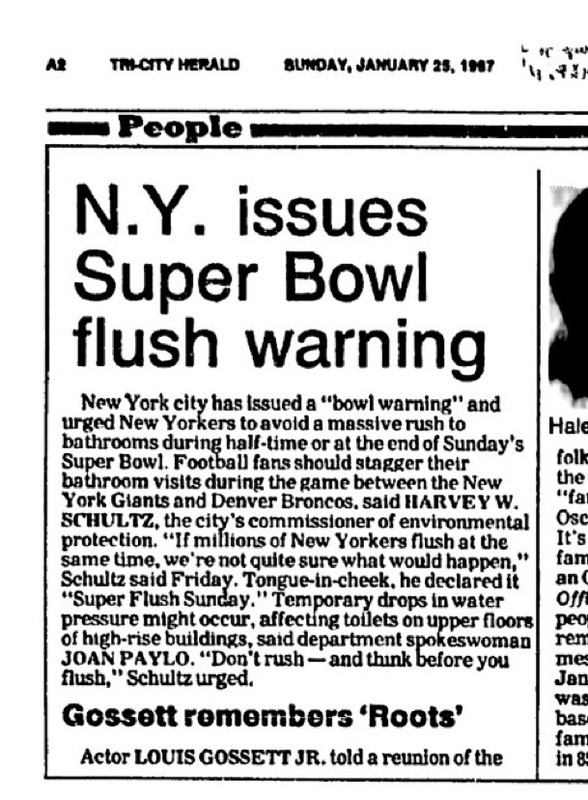 During a press conference in advance of the 1987 National Football League Super Bowl game, Schultz hinted to the public at large that it might be a good idea for football fans to “stagger their bathroom visits” during the game — so as to avoid a potentially hydraulically catastrophic “Super Flush.” The exacting news outlets of the moment took the story and ran with it. Hearsay about the Super Flush is an important mechanism for rendering of infrastructure in the minds of we who would use it unwittingly. The important thing about Schultz’s peculiarly artful institutional critique that day at the press conference is not whether or not what he said was true (it was not), but that it made present, perhaps for the first time: New Yorkers have toilets, they are each part of an massively interconnected system, all connected to an otherwise unnoticeable aqueduct . Schultz did no less than to render the infrastructure of plumbing and sewage visible, in the consciousness of millions of people. Consider a phenomenon known to exist in the United Kingdom power industry known as “Television Pickup.” By quite a large majority, the English like to make tea, and watch television drama. Whenever a particularly popular drama or sport programme on the BBC ends, the entire viewing public gets up from their television and makes tea. During these mass-brew events, millions of electric kettles are turned on all at once, just prior to which the national electrical grid system goes into mini-emergency mode. The largest pickup recorded for the TV drama East Enders happened on April 5th, 2001, when an estimated 22 million viewers watched to find out ‘Who shot Phil Mitchell’. (BBC 2007) The post-episode power load by 2290 megawatts and the population of the UK at this time was 58.7 million. (Wikipedia United Kingdom Census 2001). Television Pickup is a correlation between media, behaviour and electrical supply—and it is this correlation, revealing unexpected infrastructural causalities, that allows for an awareness of subsystems, and how they interrelate. (British Broadcasting Corporation Britain From Above) Through unexpected correlation and causal relationships, technologies are drawn out from their transparent fog, their immanent and pervasive haziness. 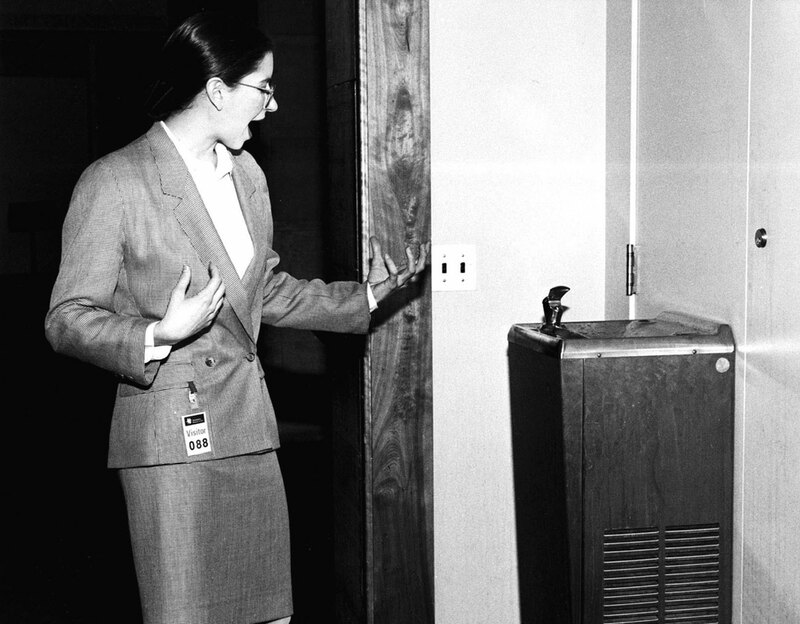 Andrea Fraser, as Jane Castleton, highlight the water fountain as part of the Museum Highlights: A Gallery Tour at the Museum of Philadelphia, 1989. CRITICAL INFRASTRUCTURE—that is, technological materials that are at once constitutive of social and political meaning, while reflexively analytic and self-destructive—allow art and technology practices to move “Towards a New Critique of Institutions,” as Brian Holmes suggests, through extradisciplinary, or perhaps anti-disciplinary, approaches. (Holmes Extradisciplinary Investigations) A critically infrastructural study (as artwork, as whatever) might appropriate from the grey media of engineering, instrumentation, and technical disciplines, creating less of an artistic gesture and more of an articulation of live research. How “raw” can the “data” of an “art world” be, and how might it be performed for its artists and audiences? How might such infrastructural data be presented in public, such that we are prompted or called to draw an appropriate panoply of individual, evolving conclusions? There are no truths to be evoked, but relationships and resonances can be modelled and estimated, meanings evoked, tendencies charted: further attempts at living in a world we seek to understand. These are extradiscplinary methods and strategies, as a reassessment of the post-digital technological landscape seems necessary: An infrastructural account of the heaving, bristling detritus the digital has left in its wake. “The Jogging” Web. Available here: http://thingsfittingperfectlyintothings.tumblr.com, accessed November 26, 2013. Web. “Things Fitting Perfectly Into Other Things.” Web. Available here: http://thingsfittingperfectlyintothings.tumblr.com, accessed November 26, 2013. Web. Adams, Douglas. Attributed to Bram “DNA/How to Stop Worrying and Learn to Love the Internet.” 1999. Available here http://www.douglasadams.com/dna/19990901-00-a.html, accessed November 26, 2013. Web. Bennett, Jane. Vibrant Matter. Duke University Press Books, 2010. Print. British Broadcasting Corporation, “Britain From Above.” 2008. Available here: http://www.bbc.co.uk/britainfromabove/archive.shtml, accessed November 26, 2013. Television programme. British Broadcasting Corporation, “Can you have a big ‘switch off’?” 2007. Available here: http://news.bbc.co.uk/2/hi/uk_news/magazine/6981356.stm, accessed November 26, 2013. Web. Brookfield, Michael E. Principles of Stratigraphy. John Wiley & Sons, 2008. Print. Burns, Red. Address to the incoming Interactive Telecommunications Programme, 2002. Subsequently, Available here: https://twitter.com/WIRED/status/376847688676802560, accessed November 26, 2013. Lecture. Coupland, Douglas. “Extraordinary Canadians Marshall Mcluhan.” Penguin Group (Canada), 2013. Print. Cubitt, Sean. “Electric Light and Electricity.” Theory, Culture & Society 30.7-8 (2013): 309–323. Journal Article. Eisenhower, Dwight. “Military–Industrial Complex – Wikipedia, the Free Encyclopedia.” Available here http://en.wikipedia.org/wiki/Military–industrial_complex, accessed November 26, 2013. Web. Espeland, Wendy Nelson. The Struggle for Water: Politics, Rationality, and Identity in the American Southwest (Chicago Series in Law and Society), 109-110. Print. Fraser, Andrea. “Museum Highlights: a Gallery Talk.” October 57 (1991): 104. Web. The MIT Press. Article Stable URL: http://www.jstor.org/stable/778874. Journal Article. Fuller, M. and Goffrey, A. “Evil Media”, MIT Press, 2012. 232 pages. Print. Fuller, M. “Software Studies: A Lexicon. Leonardo (Series)”, MIT Press, 2008. 334 pages. Print. Heidegger, Martin. “The Question Concerning Technology”, Trans. W. Lovitt with revisions by D. F. Krell, in D. F. Krell (ed.) Martin Heidegger: Basic Writings, revised and expanded edition, London: Routledge, 311–41. 1993. Print. Parikka, J. and Hertz, G. “Zombie Media: Circuit Bending Media Archaeology Into an Art Method.” Leonardo 45.5 (2012): 424–430. Web. Holmes, Brian. “Extradisciplinary Investigations. Towards a New Critique of Institutions | Eipcp.Net.” Available here http://eipcp.net/transversal/0106/holmes/en, accessed November 26, 2013. Web. Homeland Security. “About the Infrastructure Information Collection Division | Homeland Security.” Available here http://www.dhs.gov/about-infrastructure-information-collection-division, accessed November 26, 2013. Web. Homeland Security. “What Is Critical Infrastructure? | Homeland Security.” Available here http://www.dhs.gov/what-critical-infrastructure, accessed November 26, 2013. Web. McLuhan, Marshall and Fiore, Quentin. “The Medium Is the Massage: An Inventory of Effects.” Gingko Press GmbH, 2011 (Original 1967). 160 pages. Print. McLuhan, Marshall et al. Letters of Marshall McLuhan. Oxford University Press, USA, 1987. Print. McLuhan, Marshall. The Gutenberg Galaxy. University of Toronto Press, 2011. Print. Microsoft Corporation. “Where Do You Want to Go Today? – Wikipedia, the Free Encyclopedia.” Web. 26 Dec. 2013. Available here: http://en.wikipedia.org/wiki/Where_do_you_want_to_go_today, accessed November 26, 2013. Web. Morton, Timothy. “The Ecological Thought.” Cambridge, Massachusetts: Harvard University Press. Print. 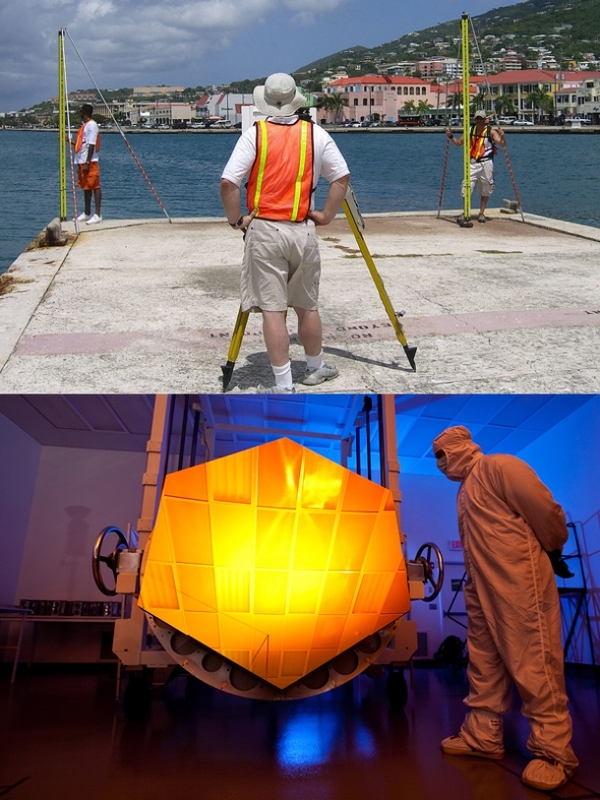 National Public Radio, “Secretly Working to Win the War in ‘Atomic City’.” Available here http://www.npr.org/2013/03/03/172908135/secretly-working-to-win-the-war-in-atomic-city, accessed November 26, 2013. Radio Programme. Oliver, J. , Savicic, G., Vasiliev, D. “Critical Engineering Manifesto.” Available here http://criticalengineering.org, accessed November 26, 2013. Web. Rancière, Jacques. “From Politics to Aesthetics?.” dx.doi.org 28.1 (2008): 13–25. Web. Ronnel, A. Recorded address to the Medienwissenschaft group at the University of Basel. “Avital Ronell – The Fable of Media Technology: On My Watch. Available here http://blogs.mewi.unibas.ch/archiv/130, Accessed April 1, 2013. Lecture. Star, Susan Leigh, “Got Infrastructure? How Standards, Categories and Other Aspects of Infrastructure Influence Communication.” The 2nd Social Study of IT workshop at the LSE ICT and Globalization, 22-23 April 2002. Available here: http://is2.lse.ac.uk/events/ssit2/, accessed November 26, 2013. Web. Star, Susan Leigh, and Karen Ruhleder. “Steps Toward an Ecology of Infrastructure: Design and Access for Large Information Spaces.” Information Systems Research 7.1 (1996): 111–134. Web. Star, Susan Leigh. “The Ethnography of Infrastructure.” American Behavioral Scientist 43.3 (1999): 377–391. Journal Article. Verilio, Paul. Politics of the Very Worst, New York: Semiotext(e), 1999. Print. Whitehead, Alfred North, “The Concept of Nature.” Cosimo, Inc., 2007 (Original 1947). 212 pages. Print. Wikipedia, “United Kingdom Census 2001.” Available here: http://en.wikipedia.org/wiki/United_Kingdom_Census_2001, accessed November 26, 2013. Web. Jamie, thank you for your contribution. Your article on Critical Infrastructure(s) is informative and entertaining, addressing a fascinating subject. Still, as it is often the case, important topics are difficult to tackle especially in the space of a short text. Nonetheless, the article provides a useful introduction on the subject, full with illuminating examples. What the article does not succeed to provide is blueprint for critical engagement with infrastructures – there are some suggestions and also cautioning about the difficulties that one might encounter when analyzing infrastructures, but the paper falls short of explicating a methodology, artistic or theoretical, for critical engagement with infrastructures. To be fair, this is maybe not the intention of the author, but as a reader I felt a bit disorientated as to the direction and the goals of the analysis. The paper starts by introducing the Critical Infrastructure as an artistic research and production residency including workshops and an installation. In the remainder of the paper there is almost no mention of the art project or how it connects with the paper. Maybe a good idea would be to skip the Infraduction alltogether, especially since the paper is way over the 4000 words limit – the same suggestion could be applied to the last section called Interminable Terminals. As already suggested the discussion of Infrastructure is informative and illuminating and specifically the outline of the concept, building upon Star’s (The Ethnography of Infrastructure) work is very well done and can help as a demarcation between infrastructure and the more general notion of technology. In the remainder of the discussion of infrastructures the adjective critical is developed and here we encounter a small problem. There are two meanings of critical infrastructure; the one as vital, illustrated by a definition by Homeland security and then immediately after there is a further which describes them as “at once constructive of new meanings, while reflexively analytic”. It seems that the author is more inclined to use the second meaning when he develops his argument and in order to describe his practice, but at points this double definition can create some confusion. The analysis gets into problems with the appearance of institutions and their critique, which is coupled with critical infrastructure. The notion of institution is very general, possibly as general as technology itself, and it is not clear how the concept is used in the paper, or how the methodology of critical infrastructure fits in the more general and richer framework of institutional critique (The author just claims “Infrastructures and institutions are related: the former is the latter’s more obstinate cousin”). A definition of institutions could potentially help, but I feel that there is a deeper problem that relates to the social dimension of infrastructures (i.e. how infrastructure becomes socially represented and integrated in and by institutions) that creates an important question of how if at all is possible to separate infrastructures from institutions. The paper concludes with a series of examples that point to possible practices of institutional and I suppose infrastructural criticism coming from an artistic perspective and cautioning the reader of possible obstacles. The examples offered are very good and illuminating, but they fall short of providing a comprehensive list of possibilities (this could be a difficult task even for a book). What is also missing is a more systematic evaluation of the challenges and the goals of such critical endeavor; the feeling that I have from reading the paper that already a lot I achieved if the public or the audience is made aware of the existence and the operation of infrastructures, but there is something more in the examples that sets them apart from mere exercises in illustrating the obvious complexity of or existence. A final remark has to do with the theme of the issue, which is the post-digital condition of artistic practice. Here the paper could do some more work to forge the links between the analysis and the post -digital. In conclusion the paper is very informative and fun to read, but seems unable to spell out the critical attitude of the author in concrete theoretical statements. A suggestion would be to divide the paper in two parts / one on the analysis of the concept of infrastructure and its relation to technology, and institutions. And a further explicitly addressing the challenge posed by critical infrastructure, offering illustrations and connecting it with the art project. Hello again Jamie. Just a small proposal for structuring the paper. I feel there is an abrupt transition and change of tone, where you introduce Andrea Fraser’s work. You start with the sentence: “A number of methods developed by artists and activist stem from forms of “Institutional Critique.” This is very general, and then you try to illustrate it with just one example – Fraser’s work. My suggestion would be is to cut this last part of the paragraph altogether and continue with measuring and performing infrastructure parts, maybe merging them together and including a couple of sentences to prepare your reader. Thanks again for an informative and enjoyable paper.